Description: For heating large spaces with a masonry or factory-built fireplace insert, the Summit Insert is the solution. 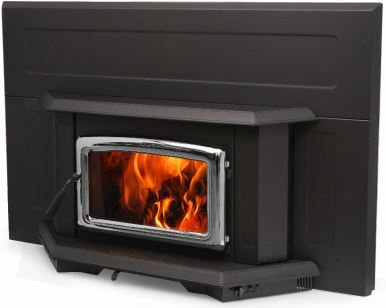 The only insert with patented Extended Burn Technology, the Summit provides ten full hours of controlled burning, for a full night of wood-heated comfort. An efficient, clean-burning heat source, the Summit insert is easy to light and use, with a large window that provides a clear view of the flame. With a variable speed fan, clean-glass airwash technology and heavy-gauge overbuilt construction, the Summit will provide many years of comfort and enjoyment.